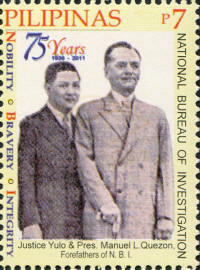 Jose Yulo was the Chief Justice of the Japanese Occupation during World War II. He was the only Speaker of the House of Representatives of the Philippines to be subsequently appointed as Chief Justice. Following World War II, he was the Liberal Party Candidate for president in 1957 but lost to Carlos Garcia.